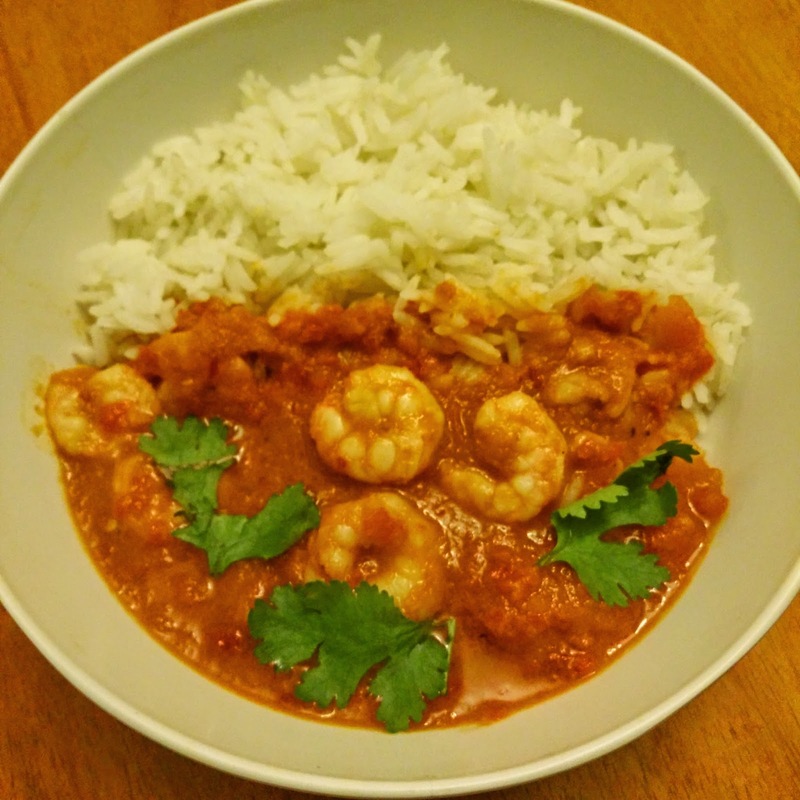 Prawn curry, masala fry, garlic butter prawns – I didn’t want to make any of these. I scouted the internet for inspiration. Yes. I stumbled on Jamie Oliver’s recipe for Szechwan Sweet and Sour Prawns. This was plan A. Then I digressed. Rather, got lazy. 1. Roast the bell peppers in hot olive oil on a sauce pan. 2. Once you see it soften and with char marks, take it off the heat and let it cool. 3. In the same pan, throw in the garlic pods and take them off once fragrant. 4. Cut the peppers into medium size pieces and put them in a blender along with the garlic, ginger and chilli. 5. Blend it enough to make a puree. 6. Tip the bell pepper puree mix into the sauce pan with salt, tip the prawns in and let them cook for 3 – 4 mins. 7. In the meanwhile mix the soy, vinegar and sugar in a bowl. 8. Add the soy mix into the prawns and cook for another 2 mins. 9. Take off heat and garnish with fresh coriander.